Hi y’all. 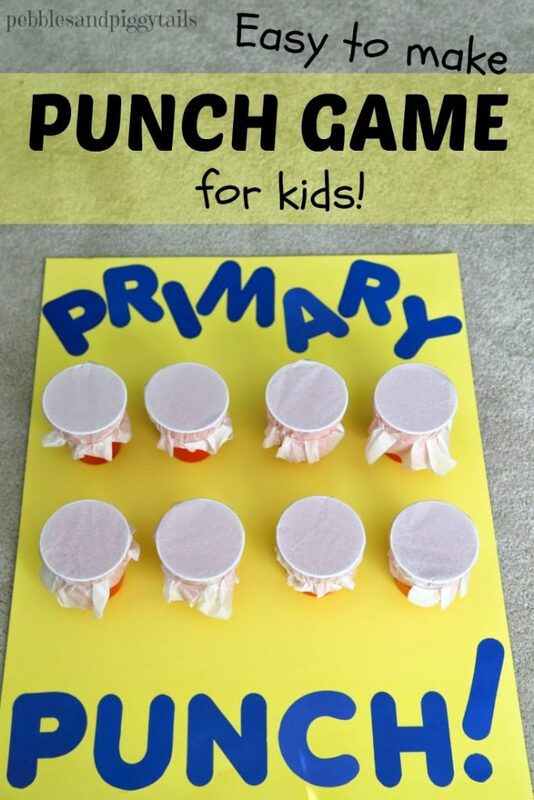 Today I thought I’d share an easy to make Tissue Punch Game. I made this for our church this past week. 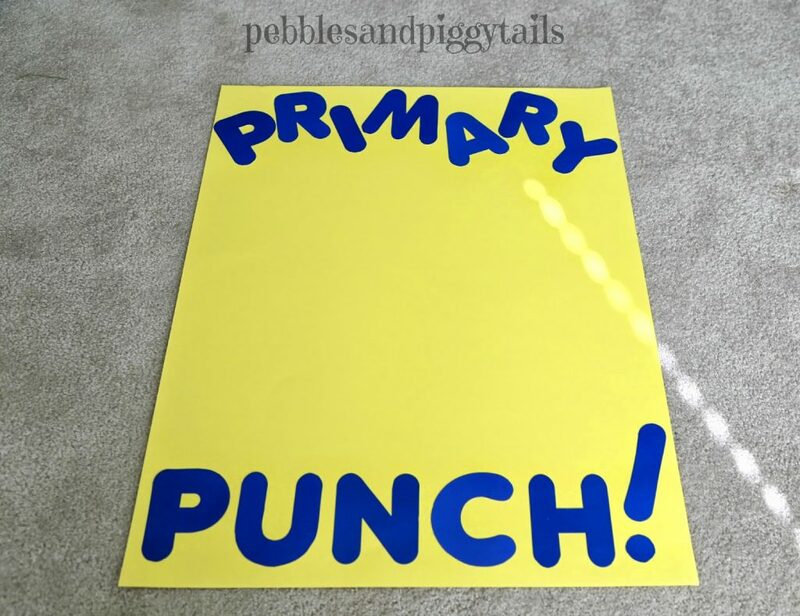 It’s like the Price is Right style punch wall that you’ve seen people making for parties and kids’ games, but you can reuse this over and over again. 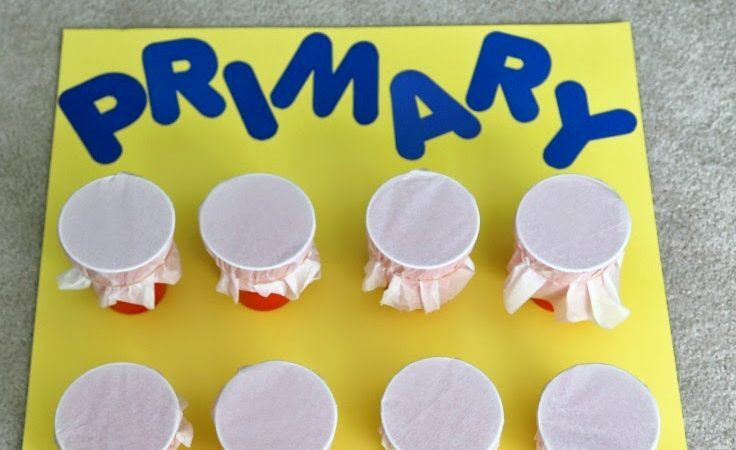 I’m the new Primary Music Chorister in my ward at church (which in the LDS church means I’m in charge of teaching all the children under age 12 music and songs each Sunday). So I made this PUNCH GAME to make learning our songs more fun. 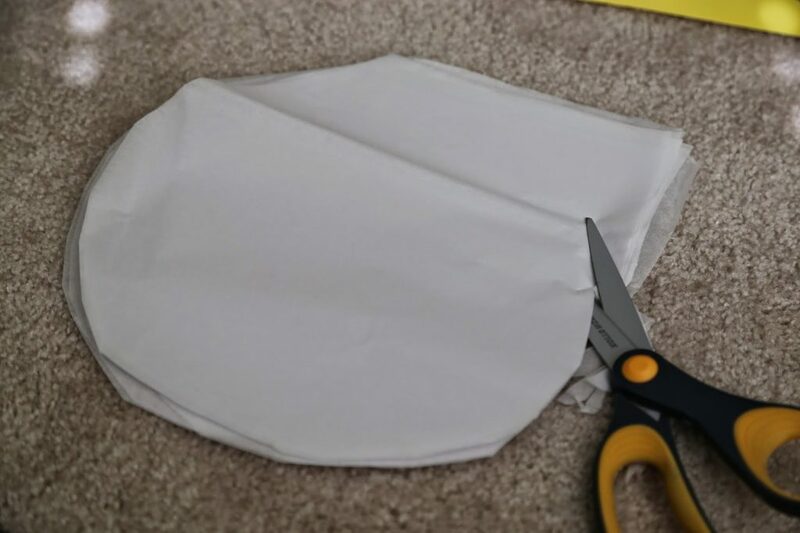 Something out punching tissue paper is very satisfying! 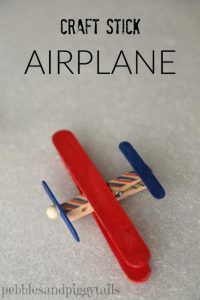 You can put little prizes, clues, or whatever inside. 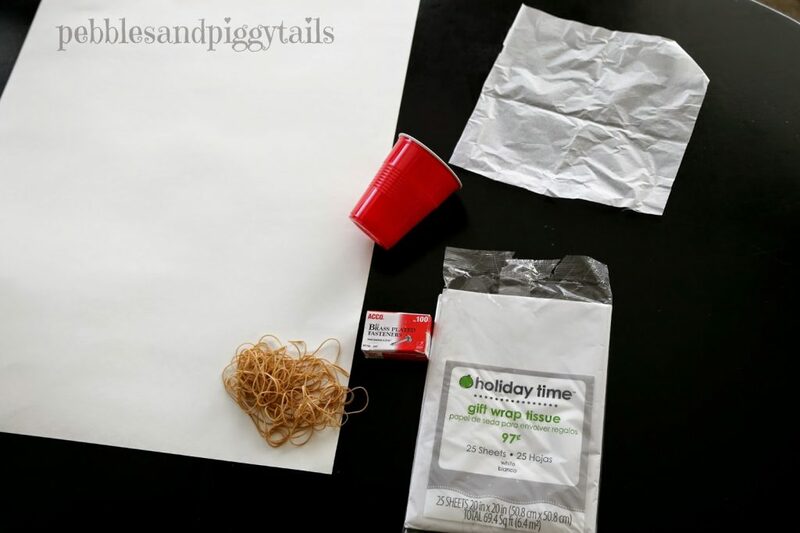 Poster board, rubberbands, plastic cups (like Solo Cups), tissue paper for gift wrapping, brass fasteners (or brads), and scissors. 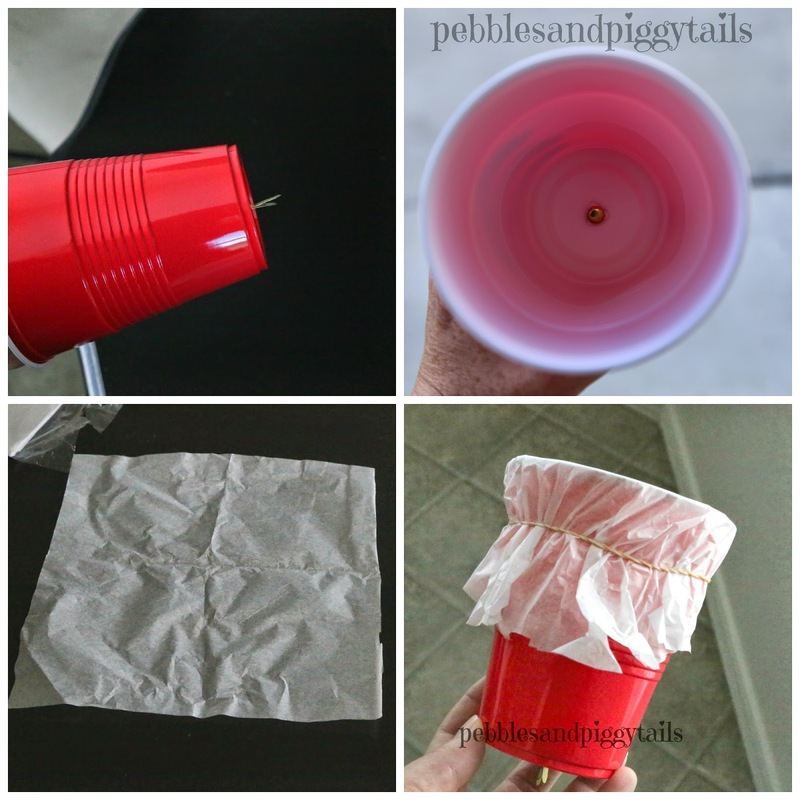 Poke the fastener through the bottom of the cup (use scissor or a knife to carefully poke a hole if needed). 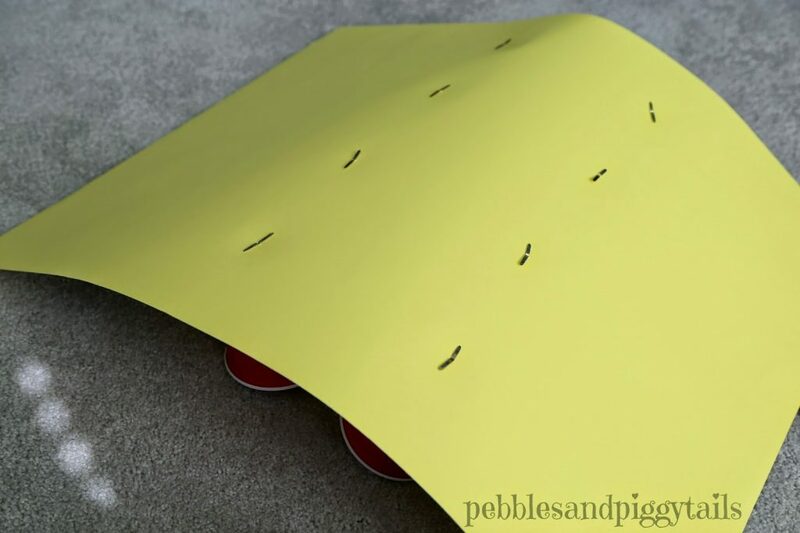 Then you cover with a piece of tissue paper (about 1/4 of a regular sheet). Use a rubberband to hold it down. As I made this I found that it was super simple to cute out all the pieces at once since tissue paper is so thin. I also found it looked better if I cut them into a more circular shape. Make your poster how ever you want. 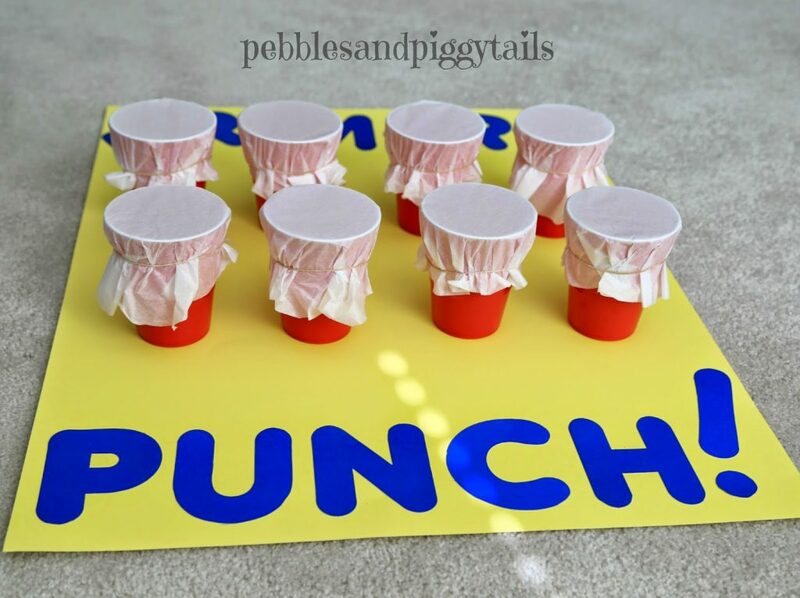 This would be a fun and simple game for preschool or even a fall festival or school carnival. 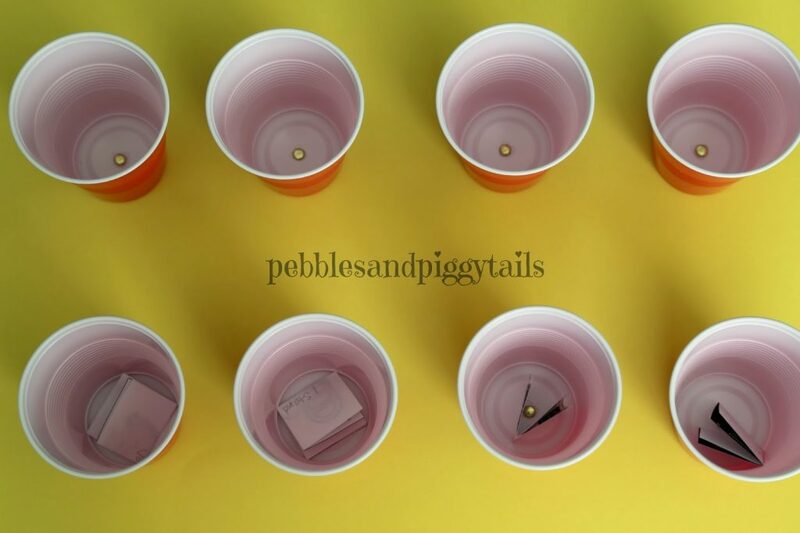 You could form the cups into any shape (pumpkin, hearts, etc). I found that even the oldest kids at church LOVED punching for the clue. Because I use the fasteners, you can reuse this game over and over again. 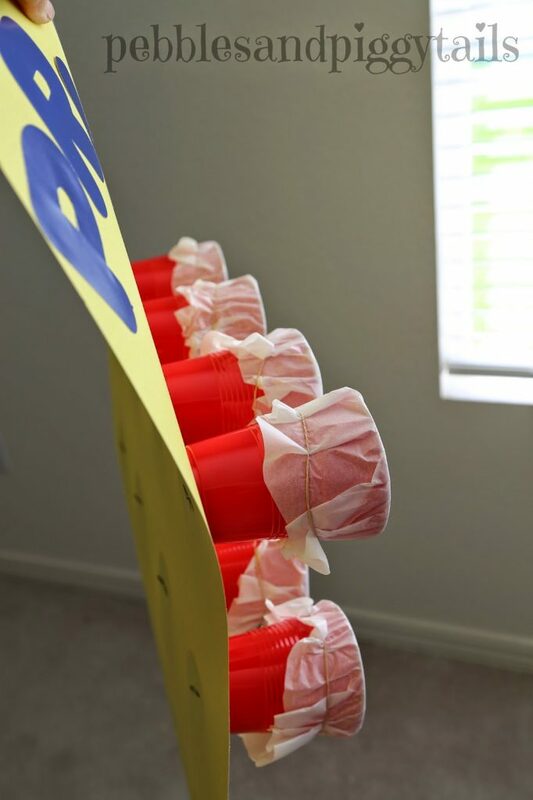 All you need is more tissue paper. I put slips of paper describing the fun way we would sing each song. 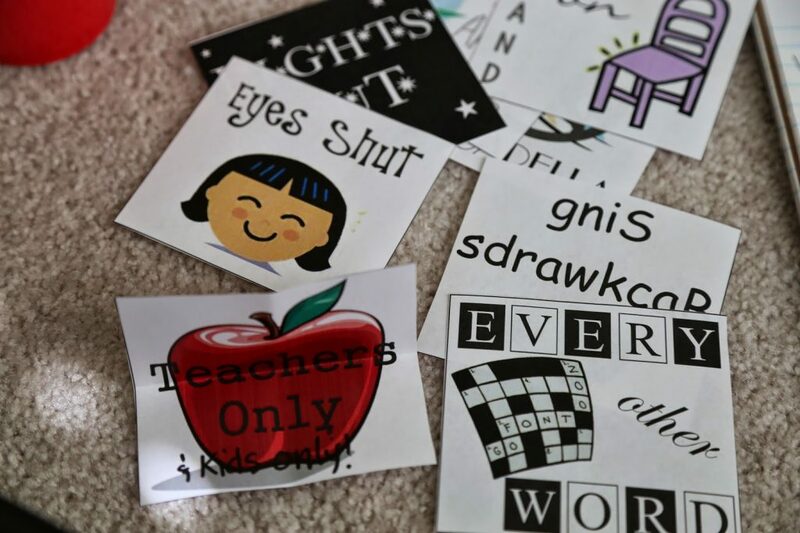 I found these fun printables HERE. The kids took turns punching it out and telling us how we would sing. Stick your slips of paper or prizes inside. 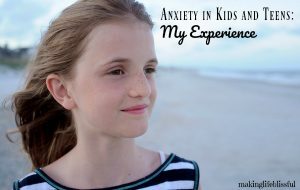 Hope this helps if you need an easy, cheap, and fun game for your kids!